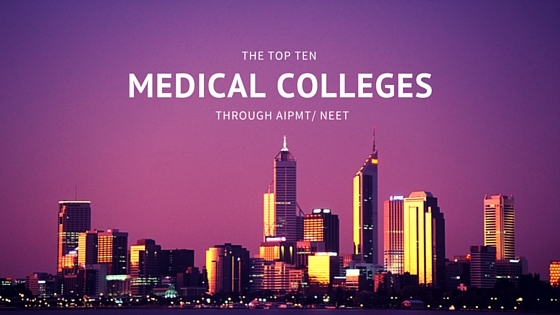 What are the top 10 medical colleges through NEET/ AIPMT? The Top 10 medical colleges through NEET/ AIPMT, as per the ranking system used by us, is listed below. The concept behind the ranking system is explained in detail for your reference. 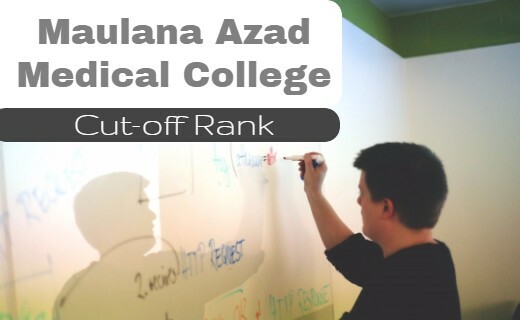 How did we rank the medical colleges? We collected the data of admission to medical colleges through NEET/ AIPMT (All India Quota only) for the past three years, 2013, 2014 and 2015. We used a simple concept to rank the colleges. 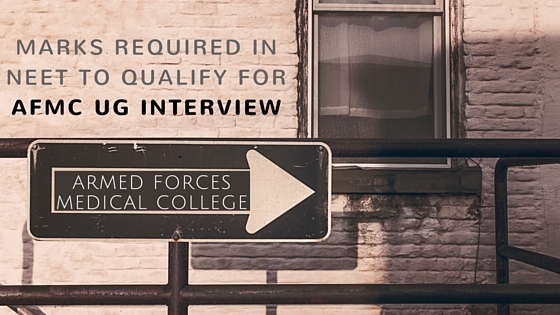 If a top ranked candidate prefers a college, it should be a good college. We did not review the infrastructure, faculty, student:faculty ratio, number of students, availability of PG, etc. So, this ranking is more focused on the popularity of the colleges among the candidates in that particular year. This could change every year. 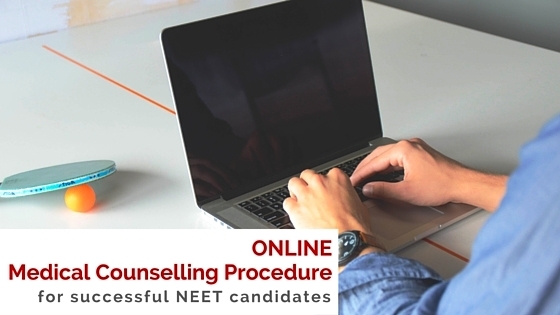 We used the choices of the TOP 100 rankers in NEET/ AIPMT exam over three years. 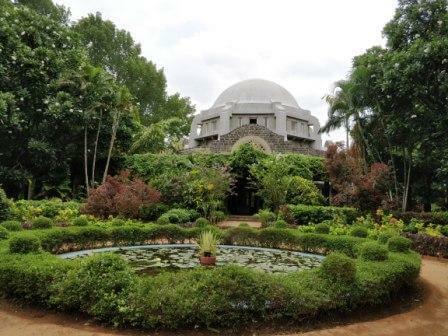 A college gets certain marks based on the number of candidates in the Top 100 ranks opting for it. The marks awarded again varies based on the rank of the candidate opting for it. For example, if a candidate with rank 10 opts for a college, then that college gets more score than a college opted by a candidate with rank 15. This yearwise score is again added together with the recent year getting more weightage. That is, 2015 is given slightly more weightage than the score for 2013. 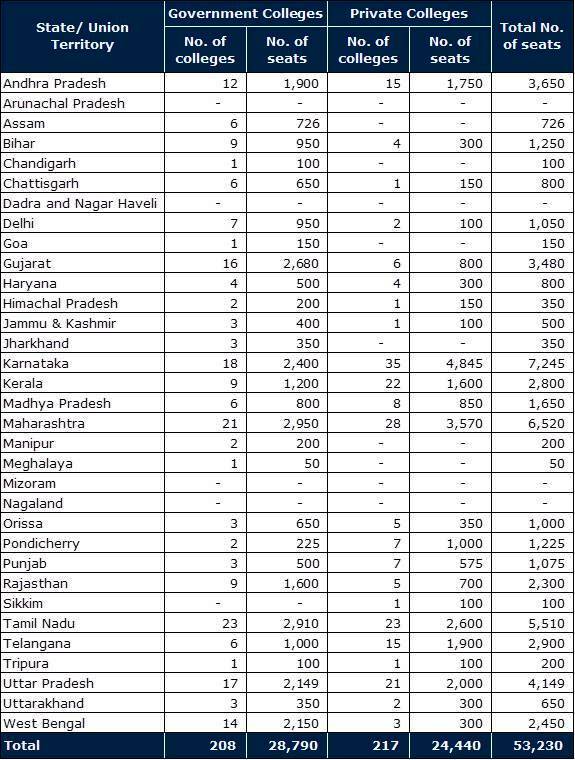 The table below shows all the medical colleges opted by the Top 100 rankers in NEET/ AIPMT over the last three years. 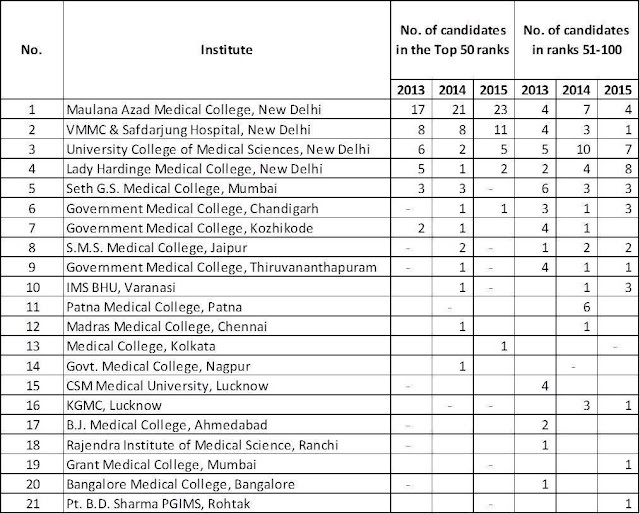 There were totally 21 medical colleges opted by candidates in the TOP 100 ranks across the past three years. This table is the basis for the ranking system adopted by us to rank the colleges. Note: This is neither a comprehensive nor a scientific ranking system. This is a simple, quick to use ranking system adopted by us for reference. You can use this as a reference guide and do more research on the colleges to finalize your choice.